These Pin Mount™ transport tanks are a 'one of a kind'. Trust me, there is a valid reason for that. 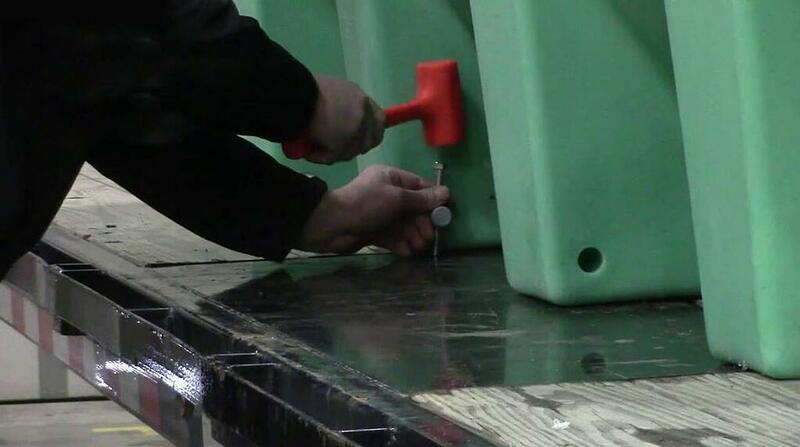 Unlike the traditional hoop systems that have been used for years, the Pin Mount™ system doesn't require a frame around the tank to secure it. Instead, it uses a steel pin through a molded hole in each leg. These pins then bolt down through the trailer bed. The Pin Mount™ system is less expensive, more secure, and also eliminates wear points on the tank that occur with the hoop system. 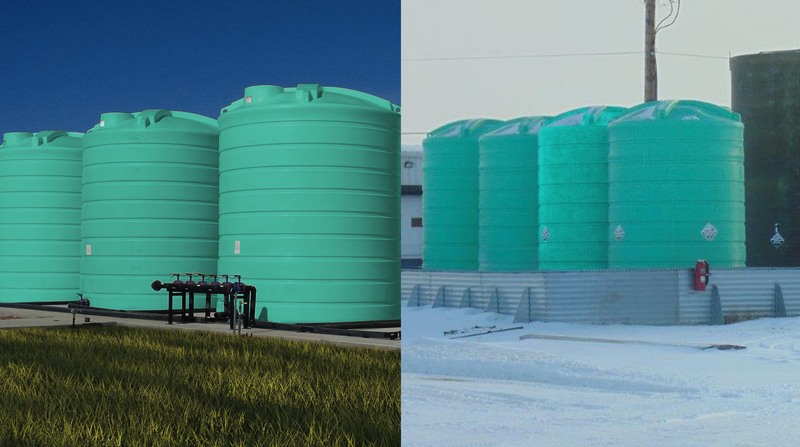 Can you use Poly Tanks for long term Fertilizer Storage? Storing liquid fertilizer in a poly tank can sometimes end up being a longer period of time then you planned. This is often because you pre-ordered your fertilizer and got an early delivery or, you ordered to much. This is not an issue if you have the right tank to store it. A lot of farmers and growers have questions about the strength of poly tanks for there liquid fertilizer. Understanding what poly tanks are made from and how they compare with other materials is important. 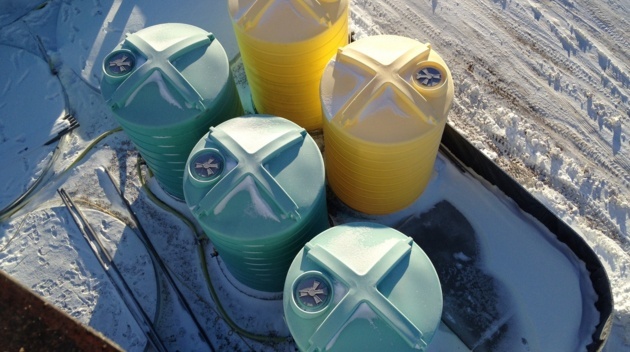 Can you store Liquid Fertilizer in Plastic Vertical Tanks over Winter? 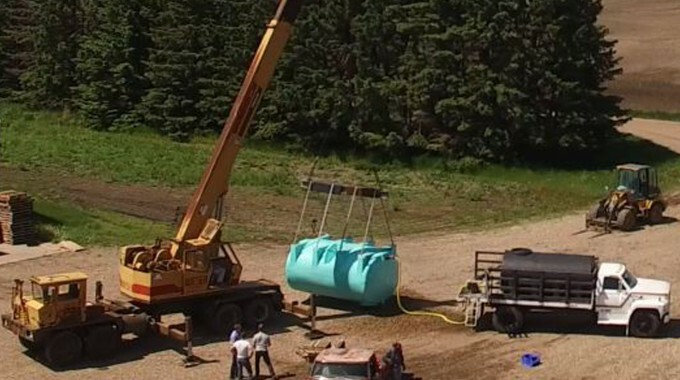 These days, storing liquid fertilizer in a plastic vertical tank over winter happens a lot. The main reason for this is buying your liquid fertilizer in fall can save you a lot of money. Making sure your tank is strong enough is important for winter storage. Mounting a horizontal leg tank can be complicated if you don't have the right tools. This guide will show you the best method to save you as much time as possible. 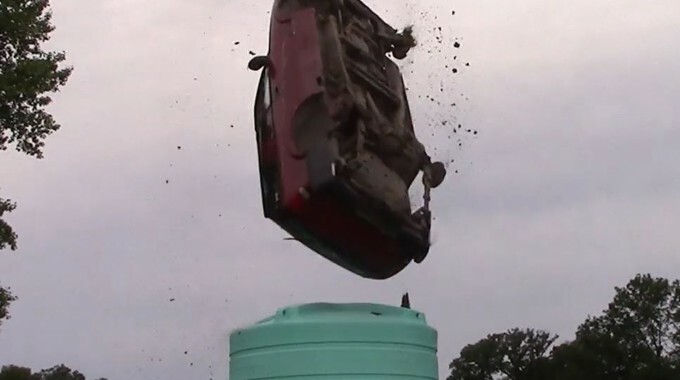 If you don't mount your tank correctly on your trailer bed, safety can be an issue. Because these tanks are transporting heavy liquid, the mounting pins on the tanks take all the stress. That's why we need to make sure you do it properly.